This card rack has 25 Slots (one per clock card). 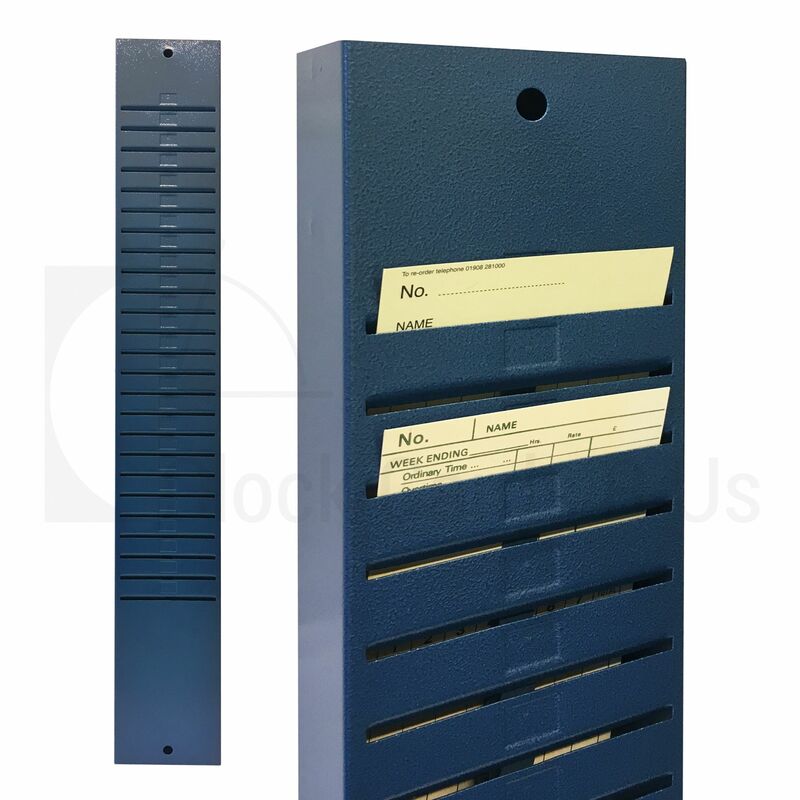 Which is suitable for cards with a maximum width of 108mm and a minimum height of 170mm, this is to ensure the top of the card can been seen. 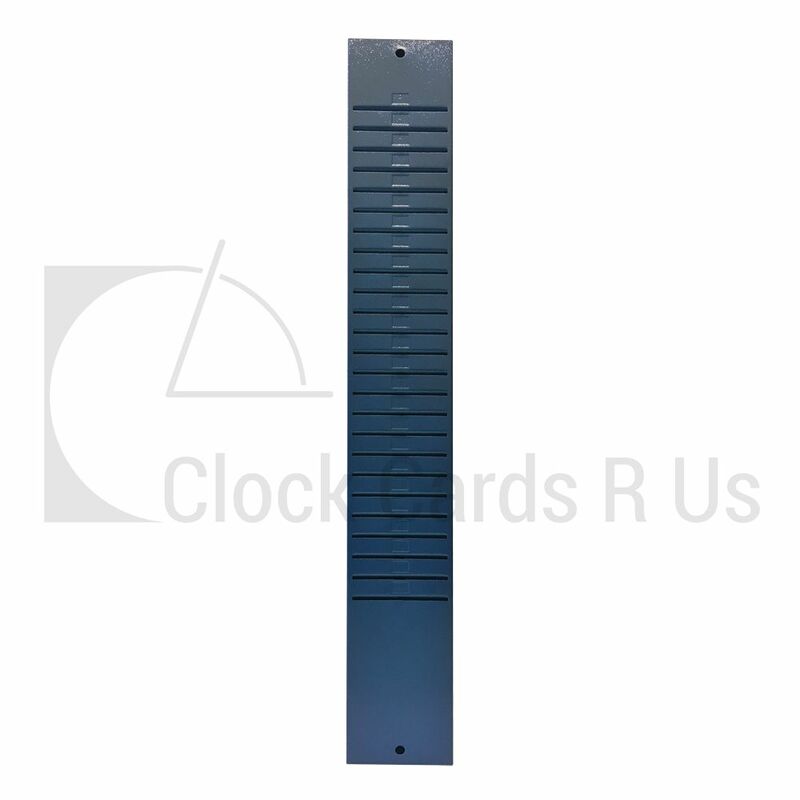 Rack dimension 915mm, (H) 123mm, (W) 54mm (D).